Basics of Magic presents the world's best known occult and magical organisation in a clear and practical way, providing a vehicle for communication, exploration and discussion for anyone interested in understanding the universe and his or her role in it. 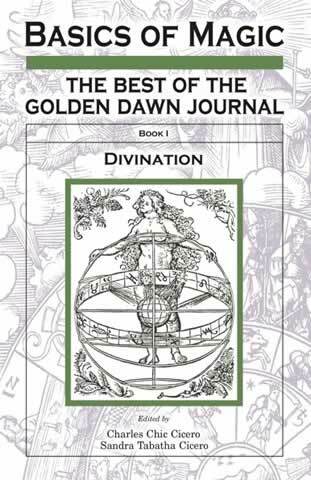 Book I: Divination explores the underlying mechanism and methods of divination, including those most favored by the Golden Dawn such as tarot and geomancy. It also reveals how, when, and why the divinatory process works and examines whether or not it can always be trusted. Included in this fascinating foray are explorations into psychological considerations in divination, particular forms of divination and particular methods within those forms. Book I delves into all aspects of ceremonial magic and the Hermetic Tradition, including Tarot readings from meetings of the original Golden Dawn members. Ceremonial Archangelic Divination by Oz Towards a General Theory of Divination by Sam Webster and The Editors' Forum: Can a Divination Always be Trusted?